Below are resources for emergency veterinary care when your regular vet is closed and cannot be reached. These facilities are open at night and the weekends. CALL AHEAD and confirm times and location please. 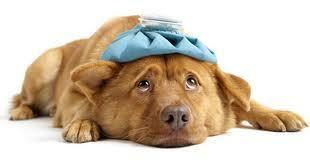 Emergency Animal Hospital 512-899-0955. They are located at the Central Texas Veterinary Specialty Hospital, 4434 Frontier Trail, Austin. From Wimberley take FM3237 to FM1826 to I45 which changes to Mopac. Take first exit which is Hwy290, turn right at light (290) feeder and then turn right on first street, Frontier Trail, clinic is on right. Click website above for more information. Emergency Pet Center 830-609-2873. They are located at 280 N. Business IH35, New Braunfels. VIP-PetCare Mobile Veterinary Clinic 1-800-427-7973 **Currently scheduled to be at King Fee, Wimberley September 3rd and October 1st. PetVet Clinic Click to find a Veterinary Mobile Clinic held at a Tractor Supply store in Central Texas. Drift Inn Wildlife Sanctuary - 512-971-1260 Non-profit corporation that provides rescue, rehabilitation and release of orphaned, injured, and displaced wildlife. Texas Parks & Recreation Wildlife Rehabilitation Information - Orphaned and injured animals, assessment and care. My Apartment Map is a housing search web site, we have pet friendly listings all over the USA. Check out this website if you are looking for an apartment that accepts dogs. Traveling with your horse? Horsetrip - Overnight boarding stables near hotels. Distance calculator, really in depth information regarding traveling with horses.